There were gasps of wonder and OMG tweets at the ARRI Alexa 65 screening last night. It was a fitting Hollywood venue for the official worldwide launch of the camera. The 65mm digital camera’s 6K images were projected on a 4K projector in the Linwood Dunn Theater at the Academy. These were the very halls where it had been agreed a while ago that film would not be replaced by digital until it looked as good–or better. This was better. I was in the second row. The images were gorgeous and rock-steady. The front rows were the place to be. It felt as if you could reach out and touch the immersive images. Behind me, collective jaws dropped. The audience included Hollywood Technorati, Sci-Tech committee members, cinematographers, and Josh Pines with quick-witted quips. The evening was introduced by ARRI’s Managing Director Franz Kraus and ARRI’s new co-Managing Director, Jörg Pohlman, and Martin Cayzer, Head of ARRI Rental. ARRI Rental’s Neil Fanthom presented the technical details, and then he and Dana Ross provided commentary on the demo screenings. For complete details and specs, please download our free November edition. Two new Alexa 65 image formats that I had not seen before cropped up in Neil’s presentation: 1.78:1 and 1.5:1. I would guess that 1.78:1 is in response to 4K dramatic TV production. And 1.5:1 is virtually VistaVision, a whisker away from 36×25 Leica format (full frame still). 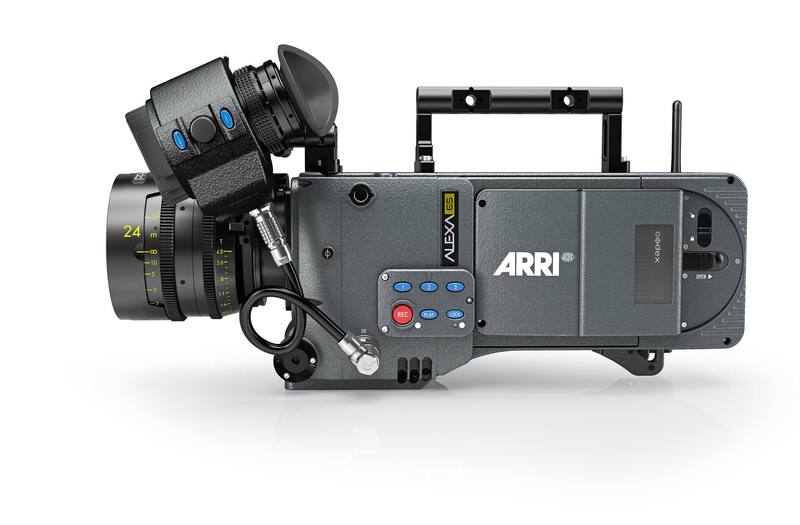 Alexa 65 1.5 is 35.6 x 23.8 mm (42.8 mm image diagonal, 4320 x 2880 resolution). This is interesting because if an Alexa 65 were fitted with a Leica M, Canon, Nikon or other still format mount, it would have access to more than 2 Million full frame still lenses out there. You could almost feel the winds of change in the Linwood Dunn Theater. Here was RAW uncompressed 6K, the equivalent of Walden Pond, compressed through a pipeline the diameter of a straw, thanks to antiquated DCI specifications. If the committee doesn’t draw up new specs quickly, these stunning images will find new homes in new venues outside traditional movie theaters, streamed and downloaded at higher resolutions and bit rates. Nevertheless, even at current standards, the experience of sitting in front of a giant screen and watching images from this exciting new camera was thrilling. The first cameras go out on productions in January. At least 30 cameras will be built for rental only. Two of the demo shorts were sensational: scenes of Alpine scenery and portraits of people at the ARRI factory. These were real people, mostly without makeup. The beautiful, high resolution scenes were shot with ALEXA 65’s Hasselblad/Fujinon/IB-E Optics prime lenses, clean, no diffusion or filters. These gorgeous shots should dispel anyone’s hesitation to use 4K-6K for faces. Thanks Jon, can you tell us anything about the projector used at the Linwood Dunn Theater for this event?